I decided that my explorations would be of outdoors-y areas, or at least places I probably wouldn't find myself come winter. With the warm weather winding down, I certainly want to make the most of it. Blackberry Bay Park is a lovely town park and I can only imagine what it's like on a nice day with sports games all in swing and boats being launched into the nearby river. 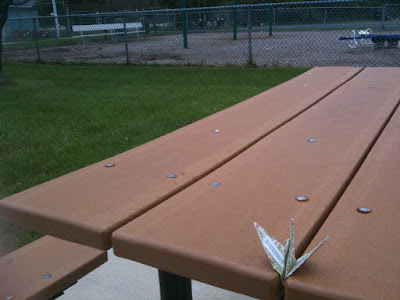 I also stopped at another park just down the street, but I could've find a flat surface to put a crane. If you live in the area, I certainly recommend checking out all of Oceanport's little parks. They certainly bring back lots of wonderful childhood memories.